Kottey, some times referred to as Kottey Hithadhoo or just Hithadhoo, is located on the Northwest shores of Addu Atoll. This unique little island has a thriving population with some of the largest villages in the Maldives. Up until 1976, the British Royal Air Force had a military base on Addu and as a result, the island has paved roads making it easy to get to most the breaks from the land. Unfortunately, the military base and the tourists weren’t totally ocean minded and Kottey sits in front of a garbage dump and often muddy lagoon. 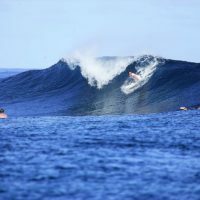 But recent efforts have helped to erase those issues, leaving a large reef break with waves that often wedge up over the coral. 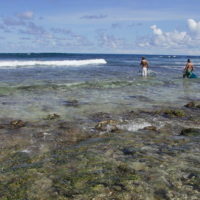 The main wave at Kottey is a left that works best with southern or eastern winds and a medium tide. 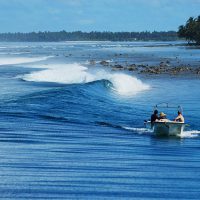 Like most of Addu, Kottey has large swell exposure, meaning it churns out consistent, powerful waves due to those Indian Ocean swells. During the winter (April to October) swells average 4 to 12 feet and tend to back down to 2 to 6 feet during the summer months. 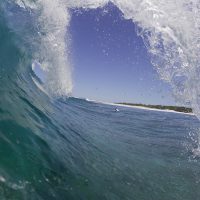 Because of its tendency to wedge up, the wave at Kottey breaks quickly and the lip can get heavy. Since Addu is the southern most Atoll in the Maldives, the line ups aren’t very crowded and you can often enjoy Kottey with just your friends. You can return to the main page for the Northern, Central, or Southern Atolls by clicking the buttons on the right. Or you can navigate to any of the breaks within the Southern Atoll region by clicking on the break name below. 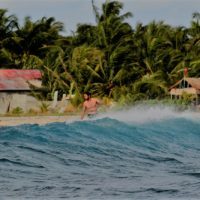 If you have any questions regarding regions and waves, what is included on the surf trip, or any other questions regarding the maldives surfing experience, please visit our FAQ page or contact us.